In 1955 the new Mercedes-Benz 300 SL stunned the world with its unique and innovative gullwing-designed doors. In this spirit, PTW Architects has also sought innovative responses to new construction challenges throughout its 128 year history. “The world-renowned Water Cube, completed for the 2008 Beijing Olympics broke all design and construction precedents, an approach also embraced at Pacific Bondi Beach, which defines the beachfront at Bondi Beach,” said PTW Practice Leader Simon Parsons. PTW architects was recently asked to come up with a clever way to showcase 11 penthouses in the luxury Pacific Bondi Beach development, a joint venture of Rebel Property Group and Capitel Group. These “Lighthouses” (actually freestanding rooftop penthouses) presented some architectural challenges if the PTW architectural team, led by former Director Andrew Andersons, was going to create a space that made the most of the surrounds, including the rooftop gardens and views stretching out to the ocean. “The issue was how to make the openings outside into an elliptical vault,” Mr Andersons said. This is where ARA Manufacture came into the picture, supplying spectacular custom-made gullwing doors from Monarch Renlita. 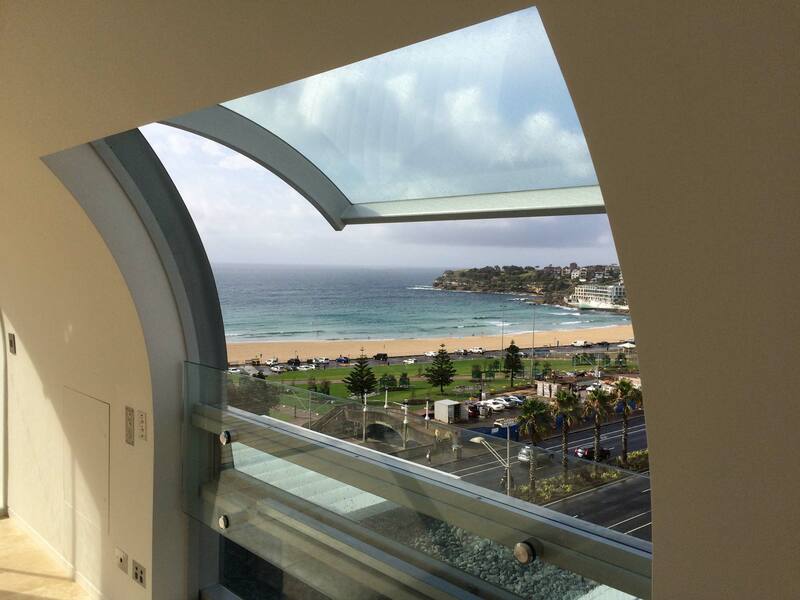 “We wanted to dramatise the views over the ocean and the big elliptical vault makes it very dramatic and has a roofline to allow the beautiful daylight to come in with the garden running down one side. 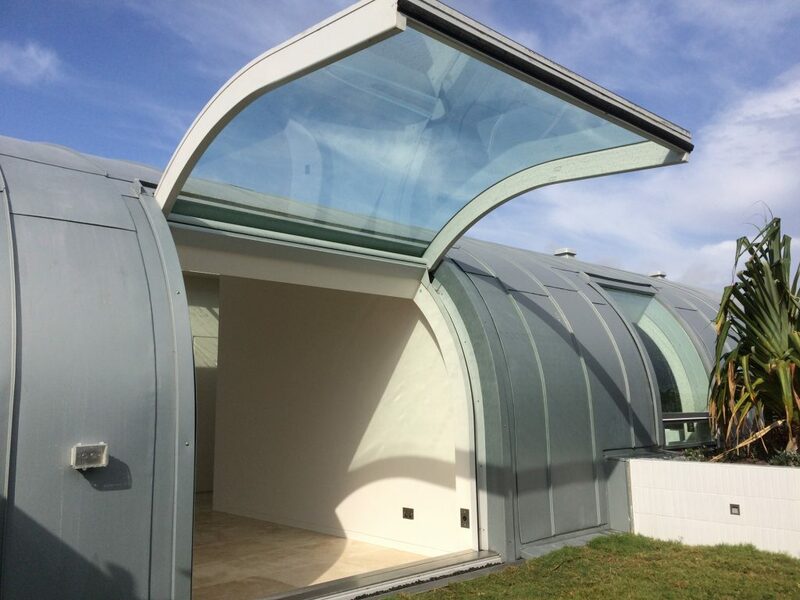 “We needed an opening to get out to the garden and while you could have put in conventional sliding doors they wouldn’t have been particularly attractive. “The developers went along with the idea to have something reminiscent of the Mercedes gullwing doors of the ‘50s and ‘60s. “The doors lift right up. They’re a complete opening and they also create a bit of shelter from the rain. With sliding doors, you always have a bit of the door left on the wall. Mr Andersons said the project had won a number of highly-regarded industry awards. “They’re amazing and everyone is very pleased with the outcome. It was a big risk for the developer but it’s paid off,” he said. He said one of the developers still lived in the building while another had rented there for a while, which was testament to the quality of the build. The doors are steel framed and clad with a single curved piece of glass for maximum light and visibility. They operate via hydraulics which are hidden in wall cavities and have a concealed gutter system to funnel water. Monarch Renlita is a brand of ARA Products, part of the ARA Group, an Australian owned and operated company offering complementary services throughout the country.